I have this spot in my entry way that seems really bare. I’ve been wanting to put something here, but nothing I’ve tried has worked. As luck would have it, I was browsing the As-Is section at IKEA the other day and found this! 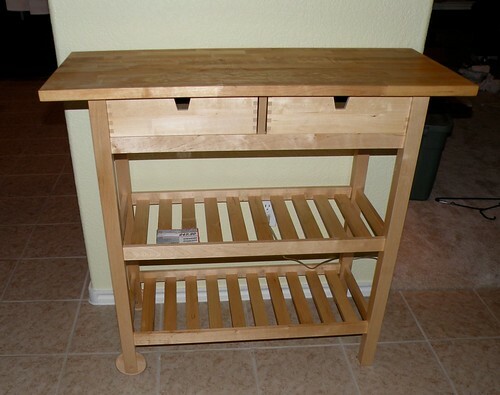 It’s in great condition, already assembled, and half off! I pulled out my mini tape measure I keep in my purse and low and behold it was the perfect size. Not too wide, not too deep, and not too short! So of course I snatched it up and brought it home with me. I plan to eventually give it a coat of paint, but since the top is butcher block I’m probably going to stain the top instead of painting it. It’s going to look SO good. I can’t wait! Here she is parked in her brand new home. Another reason I needed a table here is for a lamp. The ceiling there really could have used a light fixture, but none was installed, so the area definitely needs a lamp. That looks perfect in there. I love a good hall table. I have hall table envy right now. 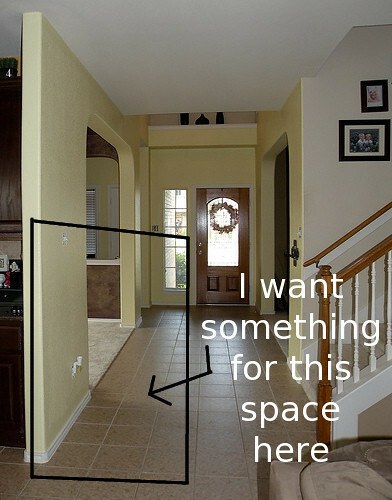 I have a really long narrow hall in my house with no space for a table, so I’ll just live vicariously through you. Can’t wait to see how it all turns out! Great find! I love that line of IKEA kitchen furniture. I think painting and staining it is a great idea. And to make it look less kitchen-y? Some baskets for the shelves in a color that matches the stain. Yeah, baby. What a great find! It looks perfect in that spot. Can’t wait to see what it looks like after you paint it! AWESOME find!!!! That spot definitely needed something! Can’t wait to see what you do with it. 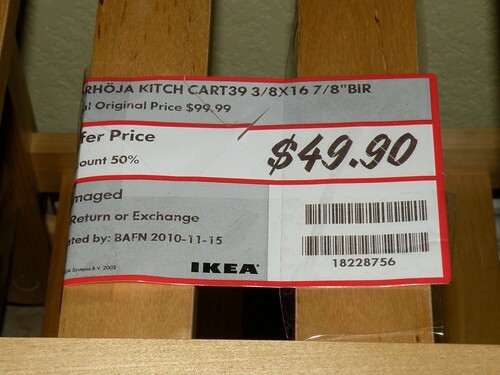 Wow, I would dearly love to have an IKEA near me. I have to drive to a neighboring state to get to the nearest one. That table is perfect there. And what a buy! 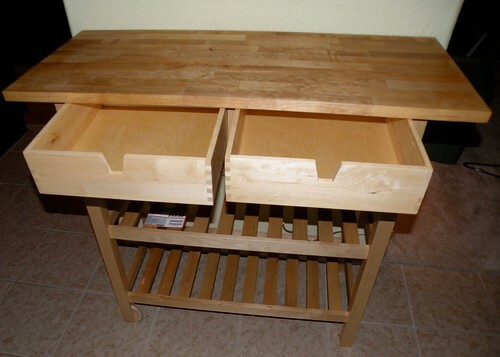 I love the table and how great that it has drawers too. Hey Allison!! Did you get to paint the higher part of your foyer? 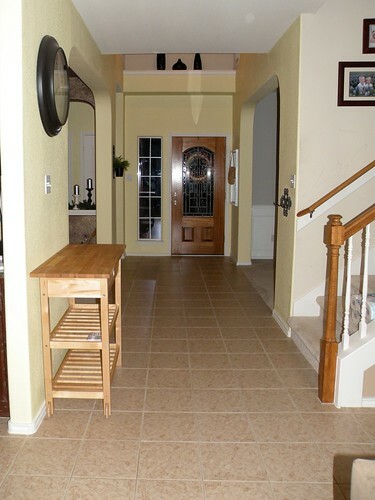 I have a 2 story foyer also and have debated how to ‘tackle’ it…I don’t have a 2nd story though…so I’m going to have to access it from the foyer itself….just wondering. Oh, and that table ROCKS…it’s goona look awesome, I just know it!